Nobody said it was going to be easy. Plenty of uplifting piety, enough nah-nahs to fill ten thousand schoolyards, an argument for love, peace, understanding and turning to your close ones for strength. And arguably Sir Paul's greatest vocal turn at the end. "Hey Jude" is loved to death unless you're a dyed-in-the-wool Beatles basher. But even those of us who think this may be the greatest song in history accept the fact that it is like water. It makes up three-quarters of the Earth's musical surface. Easy, Jude, easy, Jude, easy, easy, easy, nah-nah-nah-nah... Read more on the monstrously mammoth "Hey Jude" at SongMango's Even The Big Dogs Need A Break Playlist. 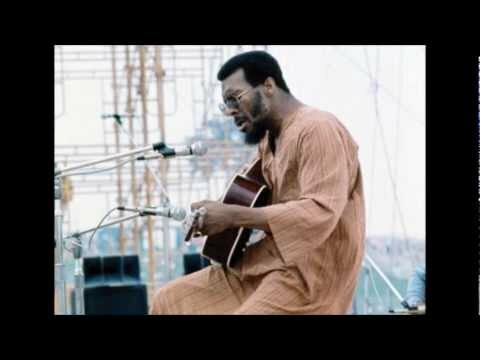 “Hey Jude,” sung by Richie Havens, is the song that opened Woodstock in 1969. It is the longest of all The Beatles singles at 7:11. In single, album and download form “Hey Jude” has sold almost 30 million copies worldwide. “Wicked” Wilson Pickett covered it in 1968. 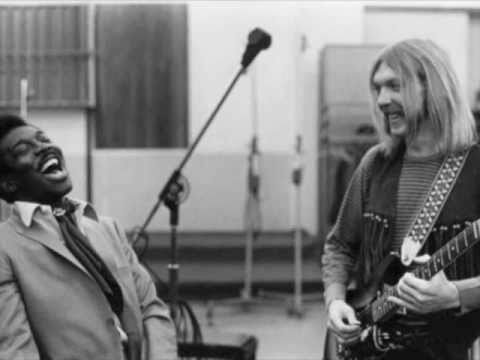 Duane Allman (before the Allman Brothers took off) was the session’s lead guitarist. A Day In The LifeWhen the transition occurs between the two songs we are totally unprepared, the shift so unpredictable, abrupt yet so smooth. I'm Only SleepingIt's not about drugs. It’s about the big snooza-palooza, one of Lennon's lifelong "passions." Hey, nap dog. She Loves YouThe yeah-yeah-yeah’s are a foundational assertion that signaled the start of the 1960s. The '60s of lofty legend and conservative loathing. While My Guitar Gently Weeps An odd mood, unyielding rhythm, Eric Clapton’s spot lead guitar, plus palpable group tension turn the work into a major masterpiece. When the transition occurs between the two songs we are totally unprepared, the shift so unpredictable, abrupt yet so smooth. No one ever claimed John Lennon was an easy-going, mellow kind of fellow. The height of paranoid stalking songs. An odd mood, unyielding rhythm, Eric Clapton’s spot lead guitar, plus palpable group tension turn the work into a major masterpiece. A sense of foreboding, political and social breakdown, and a bit more than a hint of child abuse. It is one brilliantly creepy song. "Let's think of the wavering millions who need leading but get gamblers instead." Some songs grow truer and truer. You're ushered into the control room of Motown as its rocket lifted from the launching pad. Diana pleads, simpers and stakes her claim.